Cassava is a staple food in many tropical countries, often only following rice and maize in importance. Cassava is widely grown because it does well on low fertility soils and can adapt to occasional drought. The ability to survive under challenging conditions makes it a particularly important crop for poorer communities. Current yields are usually well below their potential because cassava is typically grown on degraded soils that do not receive fertilizer. Cassava’s rising demand for use as food, animal feed, and industrial purposes encourages farmers to increase production. 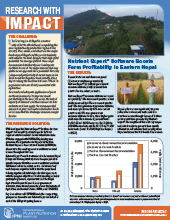 Improved fertilizer practices are necessary to provide. 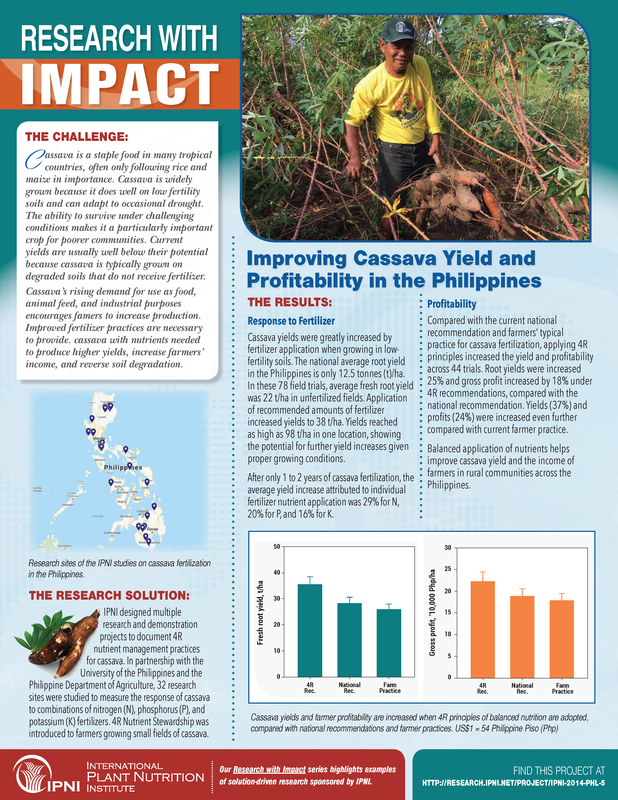 cassava with nutrients needed to produce higher yields, increase farmers’ income, and reverse soil degradation. 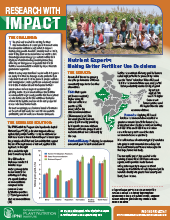 This year IPNI supported more than 130 projects aimed at improving the use of fertilizers. 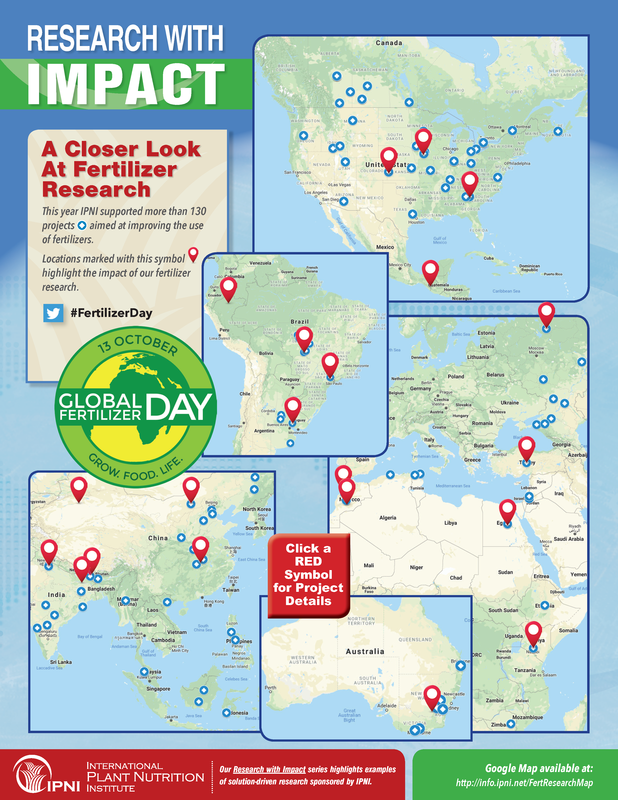 In honor of Global Fertilizer Day take a look at the impact of our fertilizer research. Brazil has lacked the data for creating a soil fertility survey that could be used for assessing if any nutritional factors are limiting crop yields in the region. 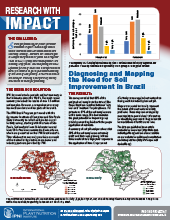 The IPNI Brazil Program partnered with the Agronomic Institute of Campinas and São Paulo State University to collect and produce a soil fertility survey, starting with the state of São Paulo. The survey revealed that soil samples analyzed in São Paulo are classified between “very low” and “medium” for phosphorus. Loblolly pine is the most commercially important of the pine trees grown in the southern U.S. Unmanaged forests can take up to 50 years to mature, while managed stands can mature in as little as 20 years. 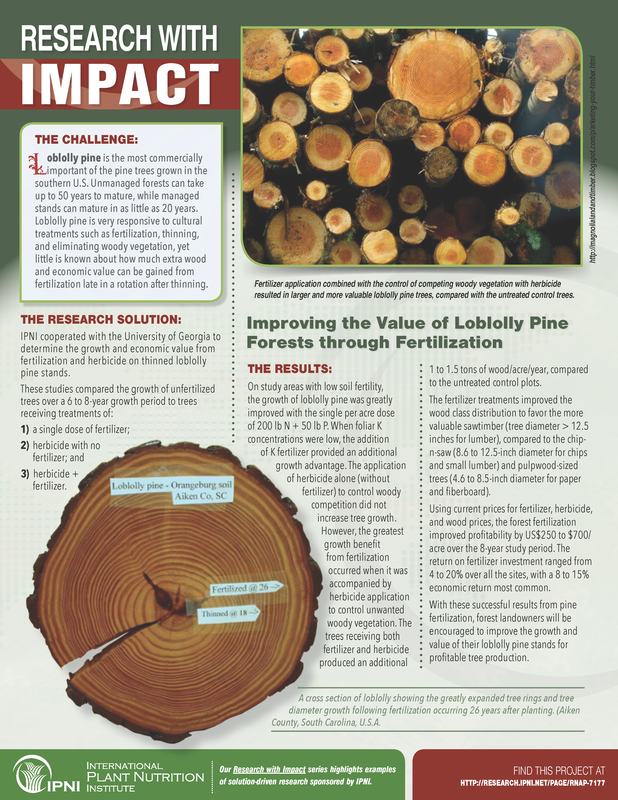 Loblolly pine is very responsive to cultural treatments such as fertilization, thinning, and eliminating woody vegetation, yet little is known about how much extra wood and economic value can be gained from fertilization late in a rotation after thinning. Wheat crown rot is a fungal disease that results in significant economic loss in Morocco and in wheat-growing areas around the world. The disease is caused by the soil-borne fungus Fusarium culmorum. Ultimately the fungus causes the heads of wheat plants to turn white and die prematurely. This disease is commonly known as “whitehead”, and is easily identified in the field. These whiteheads contain either no grain or only shriveled kernels. 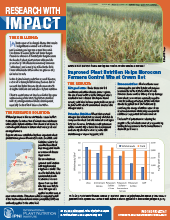 In the dryland wheat production areas of Morocco, crown rot reduces yields for many farmers. Earlier research has linked the severity of crown rot with drought conditions and unbalanced plant nutrition. 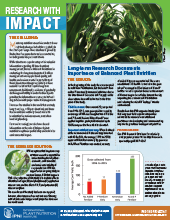 Efforts to control crown rot have been limited by a poor understanding of the interacting factors associated with crop management and disease development, especially the benefits of balanced nutrition. Annual and perennial grasses and legumes are important forage crops in Russia, occupying almost 20% of the total cultivated land. 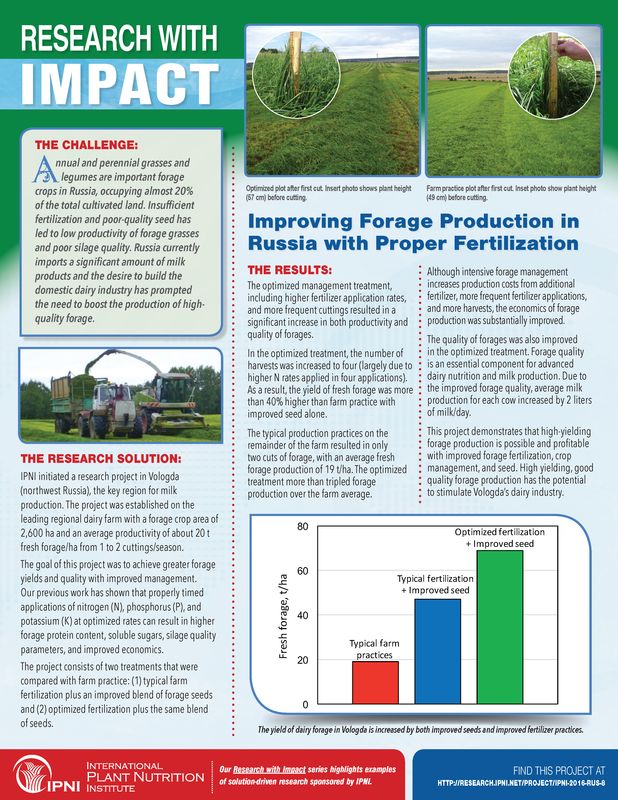 Insufficient fertilization and poor-quality seed has led to low productivity of forage grasses and poor silage quality. Russia currently imports a significant amount of milk products and the desire to build the domestic dairy industry has prompted the need to boost the production of high quality forage. Balanced and adequate application of plant nutrients is essential to improve cereal productivity in the Terai region of Nepal. 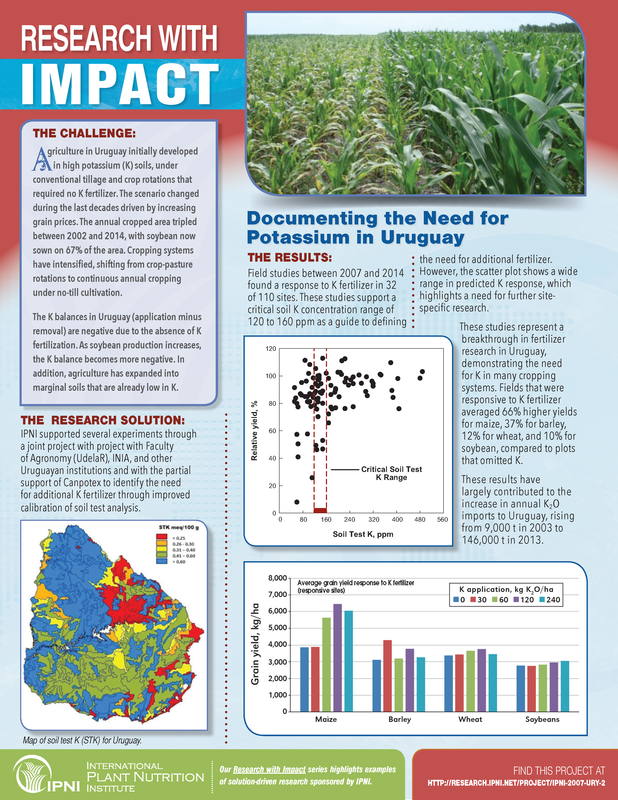 IPNI developed the Nutrient Expert® fertilizer decision support tool to quickly estimate specific fertilizer requirements for cereals at the individual farm scale. The adoption of this tool will enhance food security within Nepal and secure the livelihoods of its farmers. An important first step in determining fertilizer strategies is soil testing. The critical value for a soil test indicates the likelihood of a crop response to an added nutrient but often these values are not substantiated or accessible. 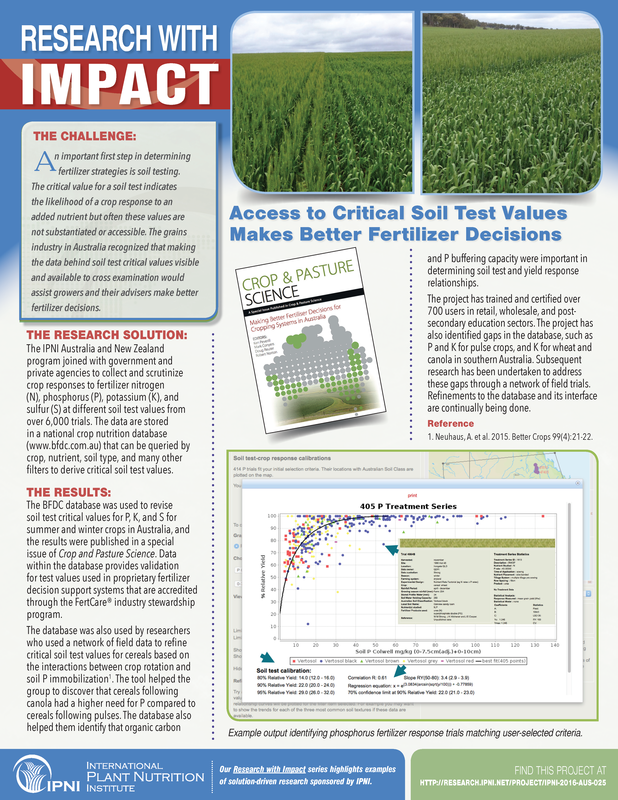 The grains industry in Australia recognized that making the data behind soil test critical values visible and available to cross examination would assist growers and their advisers make better fertilizer decisions. China is the world’s leader in both rice and eggplant production. Farmers in the Hubei province prefer to use commercial, soluble fertilizers such as urea and compound fertilizers; however, nitrogen (N) is frequently over used and phosphorus (P) and potassium (K) are commonly under applied. 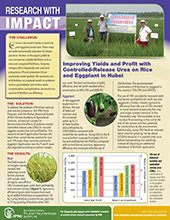 To address the problem of fertilizer overuse and nutrient imbalance, the IPNI China Program, with the Wuhan Botanical Garden of the Chinese Academy of Agricultural Sciences, carried out a project to demonstrate the effects of polymer-coated controlled-release urea (CRU) on rice and eggplant production and profitability. Agriculture in Uruguay initially developed in high potassium (K) soils, under conventional tillage and crop rotations that required no K fertilizer. The scenario changed during the last decades driven by increasing grain prices. The annual cropped area tripled between 2002 and 2014, with soybean now sown on 67% of the area. Cropping systems have intensified, shifting from crop-pasture rotations to continuous annual cropping under no-till cultivation. Farmers increasingly need science-based information on the role of balanced plant nutrition to optimize profitability and minimize environmental impact. 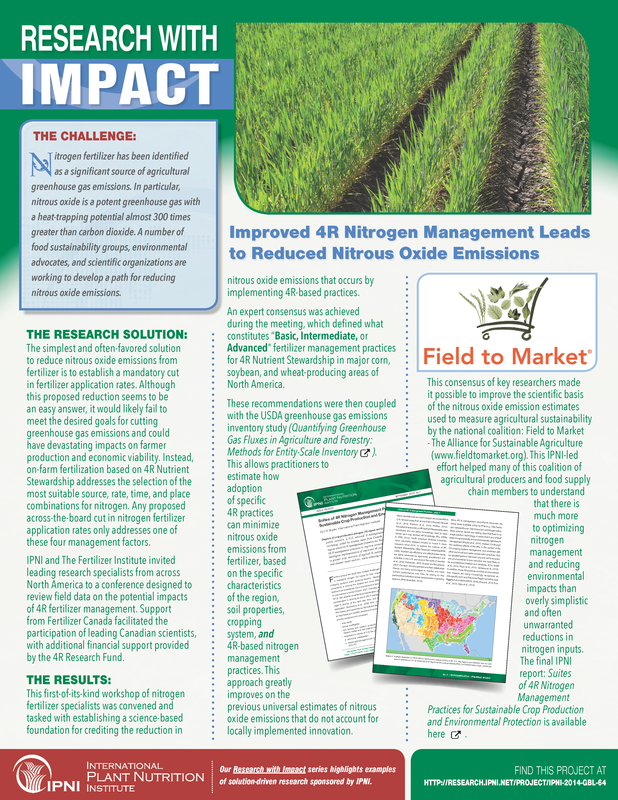 IPNI recognizes that long-term crop nutrition research is essential for understanding the 4R pillars— economic, environmental, and social sustainability of crop production and has supported an on-going study in western Kansas, USA that began in 1961. 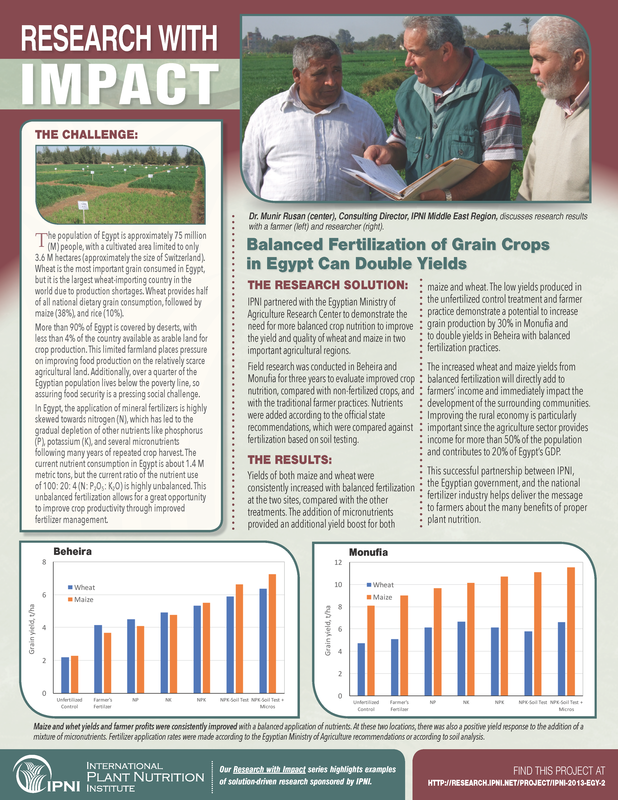 In Egypt, the application of mineral fertilizers is highly skewed towards nitrogen, which has led to the gradual depletion of other nutrients like phosphorus, potassium, and several micronutrients following many years of repeated crop harvest. Unbalanced fertilization in the country allows for a great opportunity to improve crop productivity through improved fertilizer management. It has become increasingly common for farmers to grow rice, followed by maize each year in their fields. This rice-maize cropping system provides an option for farmers to diversify and improve their income compared to growing only rice. High-yielding maize removes more nutrients from the soil than rice or wheat. Current fertilization practices have led to an imbalanced and insufficient reservoir of many nutrients in the soil. 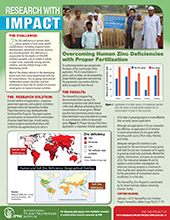 Improper fertilization practices are leading to an overall decline in farm productivity. 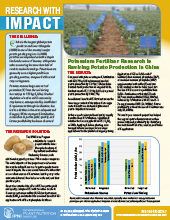 IPNI always recommends that farmers apply fertilizer nutrients according to the demand of the crop and apply nutrients in ways that minimize their loss and maximize their efficiency. Olives are one of the most important fruit crops in Morocco. The country’s fruit production has nearly doubled in the last ten years. But this higher production is mainly due to increased tree planting as yields remain low. Nutrient deficiencies and imbalanced fertilization remain a primary constraint to higher yields. IPNI cooperated within a study that evaluated current farmer practices for 36 olive orchards. The goal was to test whether improved fertilizer recommendations could boost olive production. Fire strikes many fields in the Cerrado region of Brazil every winter due to weather conditions of high temperatures and low humidity. Some fires happen accidentally or farmers intentionally burn cover crops, crop residues, and pastures. 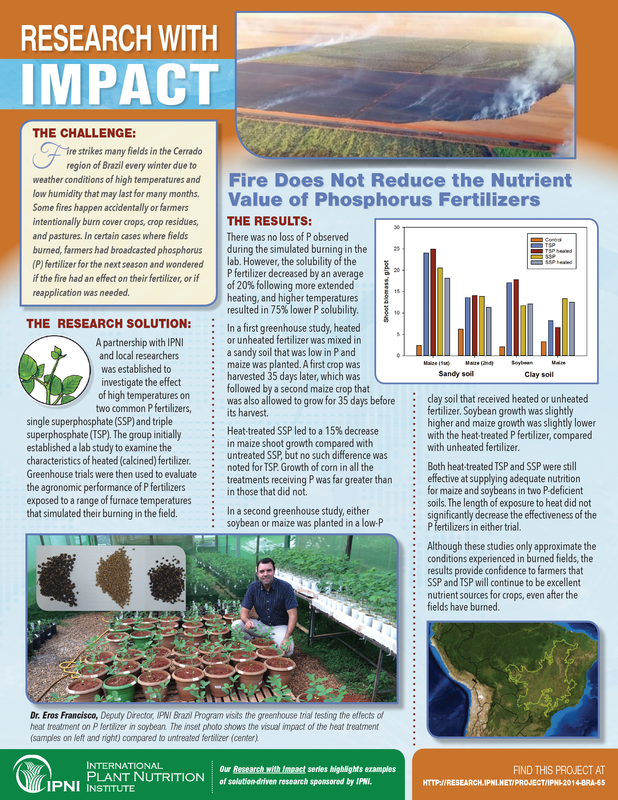 Farmers wondered if the fire had an effect on their fertilizer, or if reapplication was needed so a partnership with IPNI and local researchers was established to investigate the effect of high temperatures on two common P fertilizers, single superphosphate (SSP) and triple superphosphate (TSP). Tomatoes require a relatively large amount of potassium (K) for adequate growth. 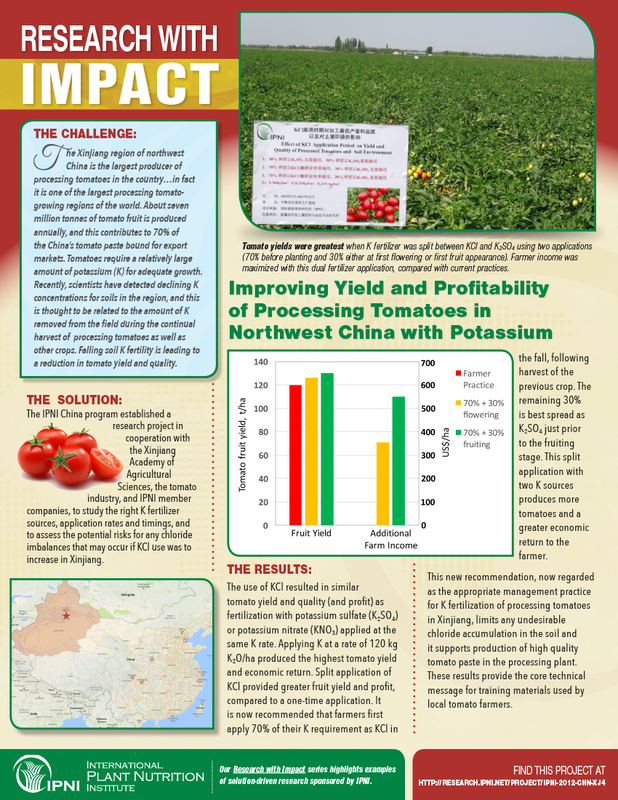 Recently, scientists have detected declining K concentrations for soils in the Xinjiang region, and this is thought to be related to the amount of K removed from the field during the continual harvest of processing tomatoes as well as other crops. 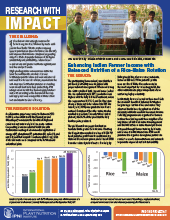 Falling soil K fertility is leading to a reduction in tomato yield and quality. 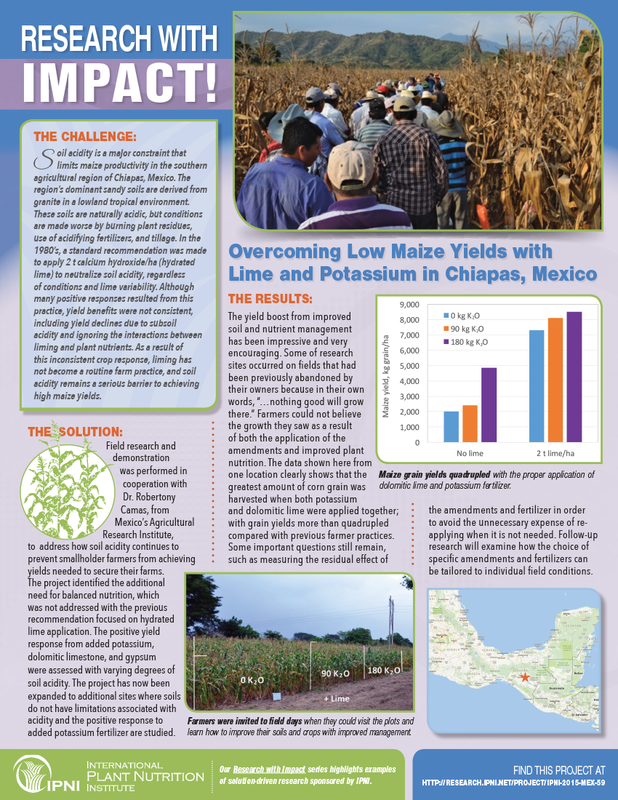 Soil acidity is a major constraint that limits maize productivity in the southern agricultural region of Chiapas, Mexico. The region’s dominant sandy soils are derived from granite in a lowland tropical environment. These soils are naturally acidic, but conditions are made worse by burning plant residues, use of acidifying fertilizers, and tillage. Grain legumes are an important source of dietary protein and income for farmers in many parts of sub-Saharan Africa. 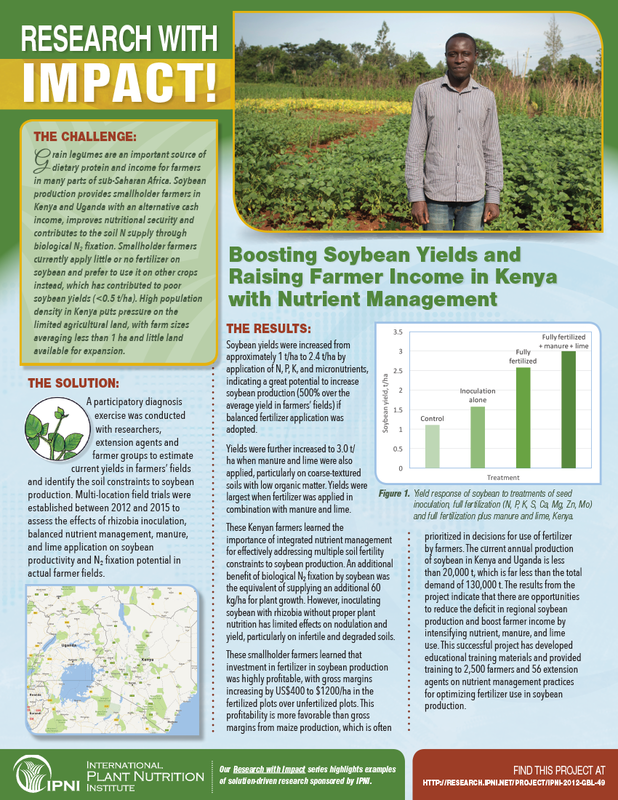 Soybean production provides smallholder farmers in Kenya and Uganda with an alternative cash income, improves nutritional security and contributes to the soil N supply through biological N2 fixation. Smallholder farmers currently apply little or no fertilizer on soybean and prefer to use it on other crops instead, which has contributed to poor soybean yields. 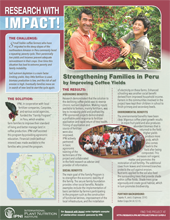 Small holder coffee farmers who have migrated to the steep slopes of the northeastern Amazon in Peru commonly faced a repeating poverty cycle. 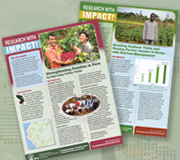 Their perennially low yields and incomes prevent adequate reinvestment in their crops. Over time this situation has lead to extreme poverty and family instability. Soil nutrient depletion is a main factor limiting yields. Very little fertilizer is used, biomass production is low, and the risk of soil erosion is high. Eventually families move on in search of new land to start the cycle again.